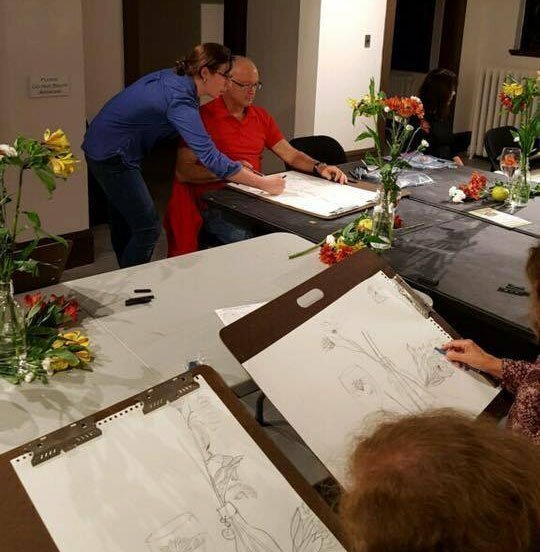 Experience the magic of art being created as you’ve never seen it before, LIVE at Bethany Arts Community. Acclaimed artist R. Wayne Reynolds will be suspended above a 20 ft canvas. 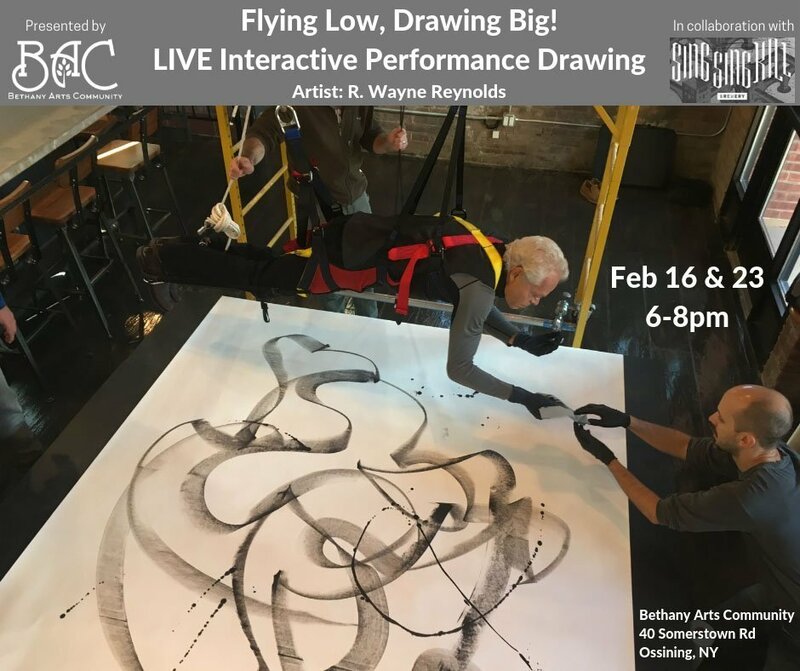 A specialized harness and custom rigging allow Reynolds to glide and spin through the air above the canvas, using experimental 3D printed tools to make his drawings. 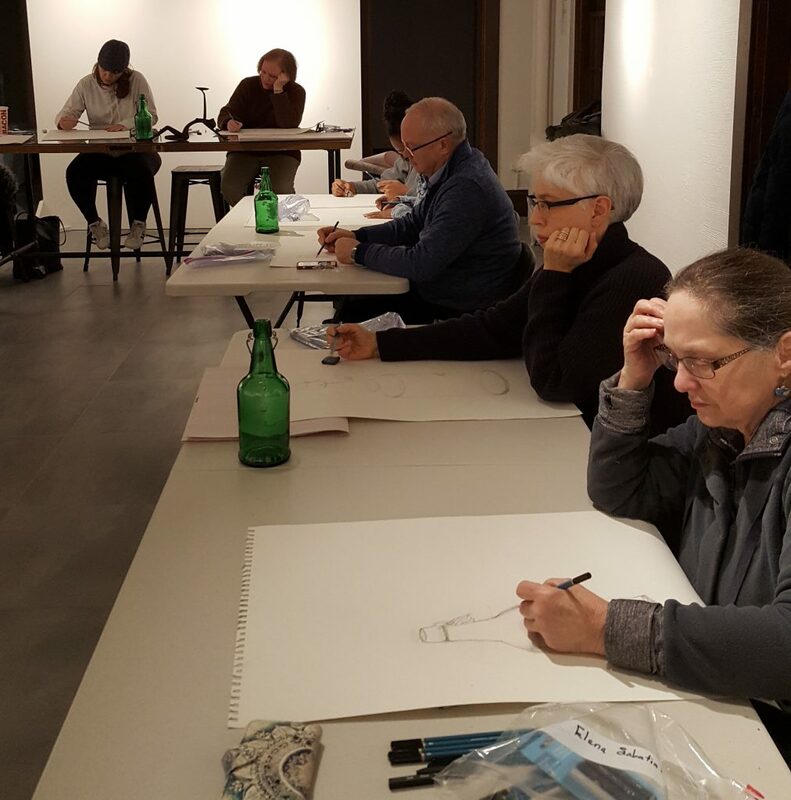 For an additional fee, a limited number of participants will be able to take the controls and guide Reynolds movement, contributing the resulting drawings. 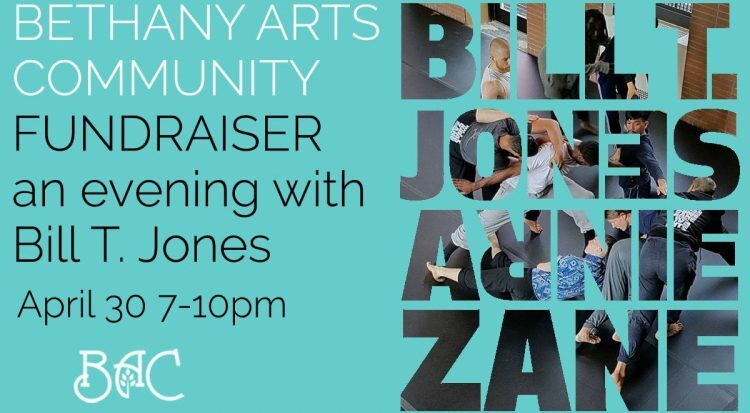 This unique evening of art and entertainment includes live music and refreshments for sale. This event is produced in collaboration with Sing Sing Kill Brewery, where a complementary exhibit allows patrons to interact with Reynolds’s art.